Ryan Gosling Surprises Toronto Cafe That Was Begging Him to Visit. 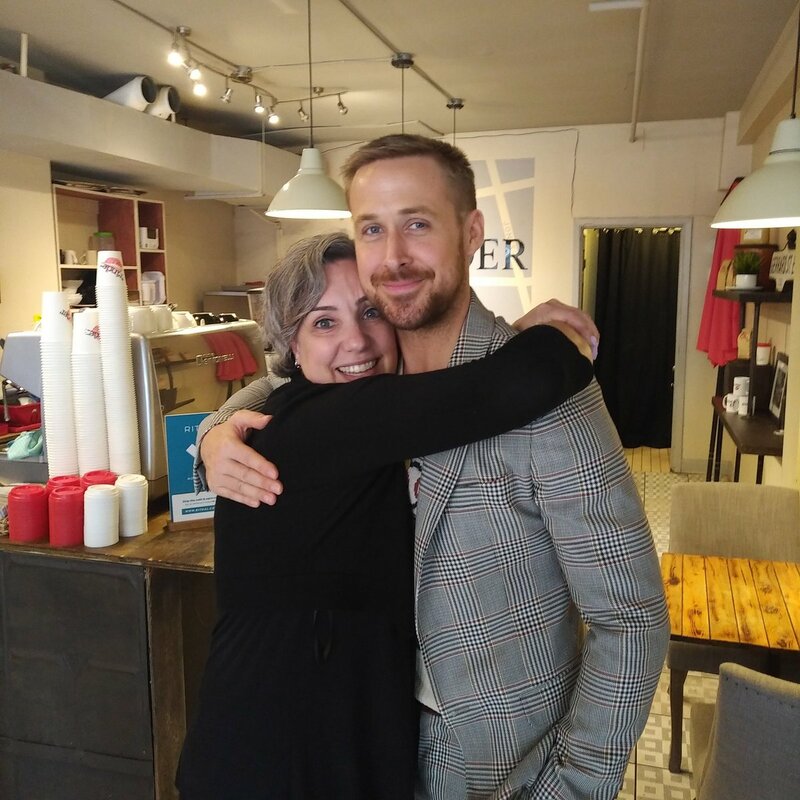 Shop owner Joelle Murray started posting pictures of herself posing with a cutout of Gosling on the shop’s social media using the hashtag #ryanneedsgrinder in an attempt to get him to visit her business knowing the actor would be in town for the Toronto Film Festival. She promised that if he showed up everybody would get fifteen percent off their coffee. Even the Mayor got involved. 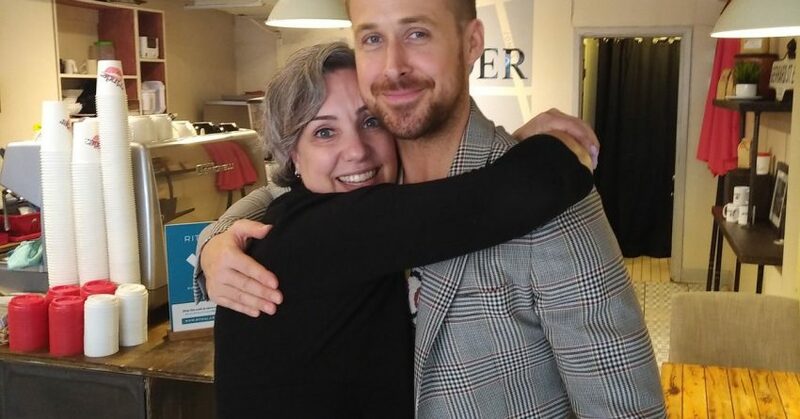 Ryan Gosling’s mother saw the campaign and convinced him to drive twenty minutes out of the way to stop by for a surprise visit.